Recently we had the chance to sit down with Neil Gains, a passionate writer, author of the book Brand esSense, and Managing Partner of consumer behaviour consultancy TapestryWorks. Prior to publishing his first book (we hope more will follow), he had contributed chapters to others, and has had several academic papers published in refereed journals. “I wrote the book as I believed there was a gap in the market for something which integrated the different ideas that exist in sensory marketing, semiotics, and building emotional brands”, he says. Should this book be on your 2014 reading list? Why did Cadbury spend years in court attempting to trademark their distinctive purple livery? And why did Nestlé go through the same process to defend their privileged right to use a four-stick chocolate format (the distinctive shape of KitKat)? Brands like Cadbury and KitKat are instantly recognizable by their colour or format, creating commercial value from the ability of the brand to get instant mental recognition at a glance. Christian Louboutin, Harrods and Tiffany & Co. have also secured the right to be sole users of their trademark appearance (which is so often tied to colour). Successful brand marketing relies on building availability of your brand in two domains: the customer’s mind and the physical marketplace. That is, if you want to be chosen on more occasions by more customers, you must be “always within an arm’s reach of desire” (Robert Woodruff, Coca-Cola). Put another way, you must be top of the customer’s mind and easy to find. Becoming top of mind is the focus of Brand esSense, published by Kogan Page in 2013. Brand research manuals often refer to this as “brand salience”, reflecting the mental network of associations with the brand that have built up in a customer’s mind. The larger, fresher and more distinctive this network becomes, the greater the chance that the brand will be noticed and chosen in different purchasing scenarios. Above all, this comes from the quantity and quality of associations, and from iconic experiences, imagery and symbolism linked to the brand and relevant to buying contexts. Above all, brand building is a challenge of signal detection, and ensuring that your brand signal is strong enough to rise above the background noise and be recognized as a familiar and relevant pattern by the human brain. Such messages are strengthened when a brand’s story is combined with symbols and sensory cues that unify, simplify and amplify its core values, thus creating an impact which becomes far more than the sum of the parts. Sensory marketing can be defined as “a type of marketing that appeals to all the senses in relation to the brand, using the senses to relate to customers on an emotional level”. In the last few years, brands have woken up to the vital role of the senses in building brand identity. However, brand communication still focuses too often on visual appearance, even though sound and smell are much more effective in engaging the emotions. Even images become far more powerful when linked to a second sense. Multi-sensory experiences create stronger engagement and more powerful memories, although no book before Brand esSense has addressed how this can be achieved. Having a sensory signature is a great first step, but there is much more to the senses than the classical view of five senses and how they work. The senses don’t just create customer engagement; sensory experience often has important symbolic value too, helping to create brand meaning, something that semioticians have long understood. The brand meanings created through the symbolic meanings of the brand experience can help brands to tell their story. Storytelling is not just about written and verbal communication; it is also fundamental to defining the underlying purpose of a brand, and can and should be supported by the experience of using that brand. To summarise: Stories define why a brand exists, and symbols help to communicate a brand’s meanings. This can then be made tangible through the sensory experience of using the brand. Sense, symbol and story define the physical, cognitive and emotional value of a brand to customers. Brand esSense describes a roadmap for building your brand, starting with the reality of human perception, the role of the senses, and how these link to symbolic meanings which can connect to a brand’s underlying story and emotional archetype. It contains a detailed research process for uncovering the most relevant emotional archetype for a brand, and how this can then be translated into thirty brand touch points to build a consistent and distinctive brand identity. 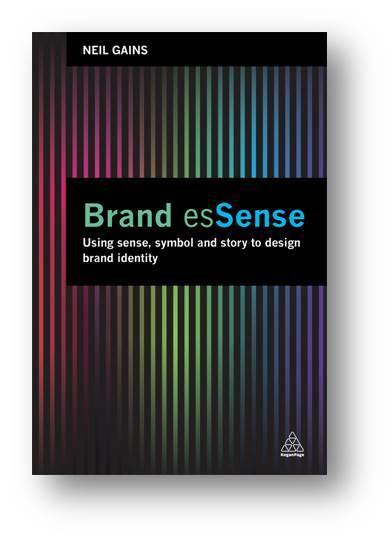 If you want to learn how to understand the emotional goals of your customers and link these concretely to the stories, symbolism and sensory experience of using your brand, then Brand esSense will make great reading. You can find out more about Brand esSense by reading the many reviews at Amazon.com or Amazon.co.uk. 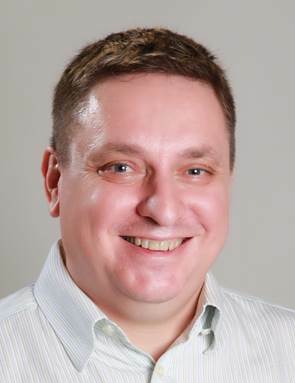 Having lived in Indonesia, China and Singapore for more than fourteen years, Neil has spent most of his time there working for Synovate (now Ipsos) managing their Asia Pacific innovation practice. Prior to moving to Asia, he worked for Cadbury Schweppes for more than ten years in research and development and sensory research. In 2010 he set up his own consumer behaviour consultancy in Singapore, TapestryWorks, which uses “behavioural insights to weave consumer and brand stories together”, he says. Neil has a doctorate in consumer psychology and sensory science, and loves travelling, reading (especially detective novels) and sharing ideas.